Gin. Blamed for the ills of society in the 1700s, studiously eschewed by young drinkers today in imitation of a fictional secret agent's preference for vodka martinis—shaken, not stirred—the spirit has hardly been hailed except as a melancholy pairing with an anti-malarial tonic favored by British colonials. But, says a young couple now bringing craft-made gin to Sebastopol, you don't know proper gin until you've sampled a dram of theirs. 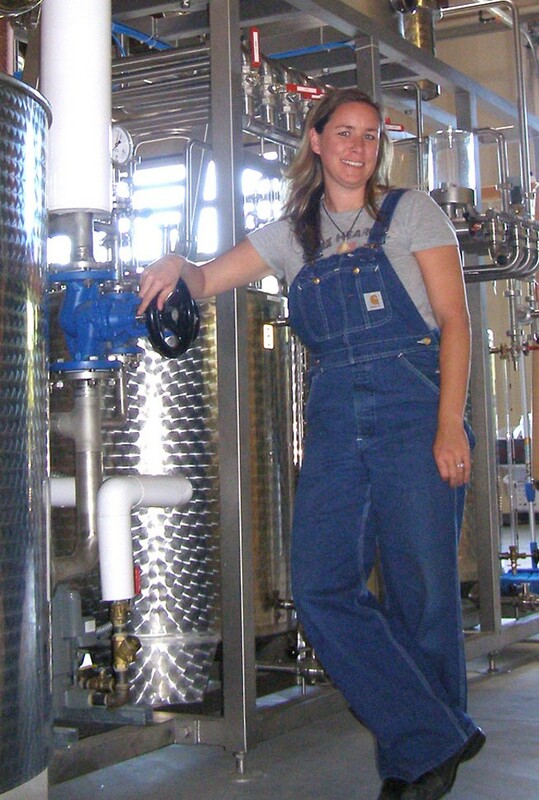 Husband and wife team Timo and Ashby Marshall recently opened Spirit Works Distillery in Sebastopol's Barlow project after a four-year journey that began when they decided, "Let's make gin." Timo's from southern England, where his family has made sloe gin for years. But it's Ashby who became the master distiller, after the couple took distilling courses and apprenticeships to learn the craft. "We're very lucky," says Timo, who does much of the talking while Ashby covers most of the wry smiling. "She's got the skills." In distilling, they say, there's a knack for it which mere instruction can't provide. At first, the Marshalls cast about for a distillery to partner with, but they couldn't find any in California up to their standards. "There's a lot of smoke and mirrors in spirits," says Timo. For instance, many craft distillers use bulk alcohol from a factory. The Marshalls decided to make theirs from grain to glass. With the help of family-and-friends investors, they installed a gleaming set of German-made tanks and copper rectification columns in their Barlow warehouse. Each batch starts with a one-ton pallet of organically grown, California red winter wheat. After being distilled to a purity of 95 percent, then cut with filtered water, it's vodka, a small sample of which is as pure and creamy as straight booze can be on the palate. A signature blend of herbs and citrus rind, which Ashby zests on production days, go into the final gin cook. If you thought Bombay Blue Sapphire was as good as it gets, here is new territory on your tongue. With a deep note of citrus and ethereal notes of juniper and herbs, it'd be a shame to dirty this up with olives and whatnot, whether stirred or shaken. Under current law, Spirit Works cannot sell product out of the tasting room ("A Fair Pour," Bohemian, April 3, 2013); it's going for about $28 at Santa Rosa's Bottle Barn. Luckily for the G&T crowd, yes, artisanal tonic made in California is now available. Straight wheat whiskey is on the way, which will be aged in charred American oak barrels, plus sloe gin—"Not the stuff," says Timo, "you drank in high school." 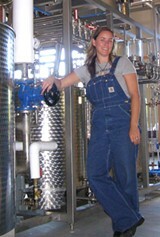 Spirit Works Distillery, 6790 McKinley St., Ste. 100, Sebastopol. Thursday–Monday, 11am–4pm. No fee. 707.634.4793.